Lake Esperance is a beautiful glacier formed tarn on the in the alpine heathland of the Hartz Mountain. The walk is easy and timber boarded for almost its entirety. Lake Esperance is often used as a rest point for the longer Hartz Peak walk. From the car park the start of the Lake Esperance track is clearly marked near the visitors’ shelter. The walk begins with a few hundred meters of gradual climbing through scrubby bushland over rocky steps before opening up into the heathland. 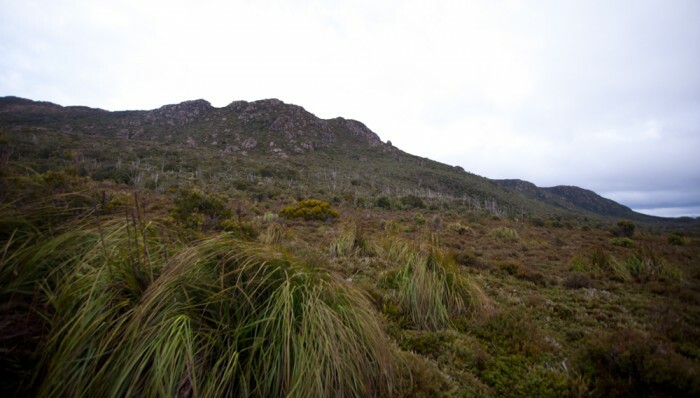 As you establish yourself on the heathland a beautiful view of D’Entrecasteaus Channel appears behind you with Mt Wellington further off to the north, as well as Hartz Peak further south of you. The track at this section is well constructed timber boarding, supporting you above the ever present trickle of water running below. 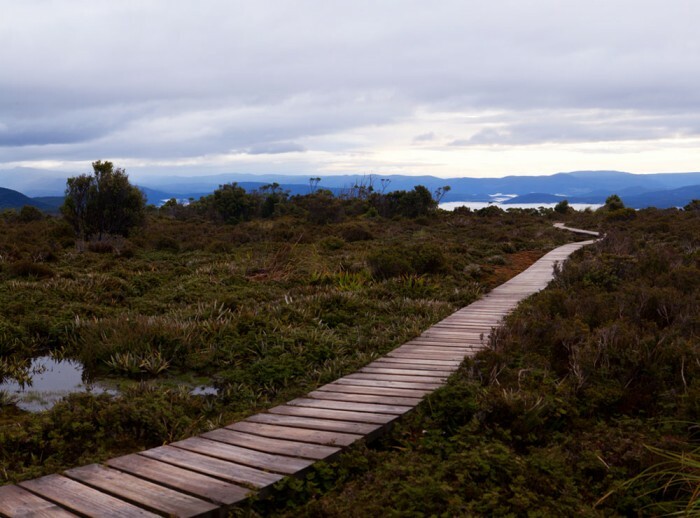 After 1.5km there will be a sign post directing you to your right leading to Lake Esperance, only 100 meters away. The track takes you to the lake’s edge where seats are offered. View Google Map Directions Hartz Peak is located within the Hartz Mountain National Park – 84km south-west of Hobart. From Hobart drive south via the Southern Outlet and join onto the Huon Highway (A6), follow the signs through Huonville to Geeveston. Once in Geeveston turn right onto Arve Road (C632), at this point there should be a sign post directing you to Hartz Mountain. Follow this road for 8.9km and turn left onto a gravel road (Bennetts road, there should be a sign), following for a further 12km. From here it is a steady climb until you reach the park. It can get extremely windy and cold on the higher sections of this walk in bad weather so be sure to pack appropriately. The track may also be slightly under water in segments after heavy rain.